The Polish Armaments Group is MSPO's Strategic Partner. The Expo has been granted the Honorary Patronage of Republic of Poland President Mr. Andrzej Duda. Following the many-year tradition, MSPO is organised in cooperation with the Ministry of National Defence and the Military Institutes. The International Defence Industry Exhibition is complemented with the simultaneously held International Logistics Fair LOGISTYKA - 2019”s LOGISTYKA celebrates its 25th anniversary this year . It is worth recalling last year's success of both MSPO and LOGISTICS Expo - The Targi Kielce Defence Industry Expo brought 624 companies from 31 countries, MSPO and MTL exhibitors used 27,000 square meters in the 7 exhibition halls of the Kielce exhibition and congress centre and in its outdoor expo grounds. The 2018 exhibition showcased a record-breaking number of helicopters. The expo hosted 53 delegations official delegations from 46 countries, The President of Poland Andrzej Duda visited the expo for the third time already. 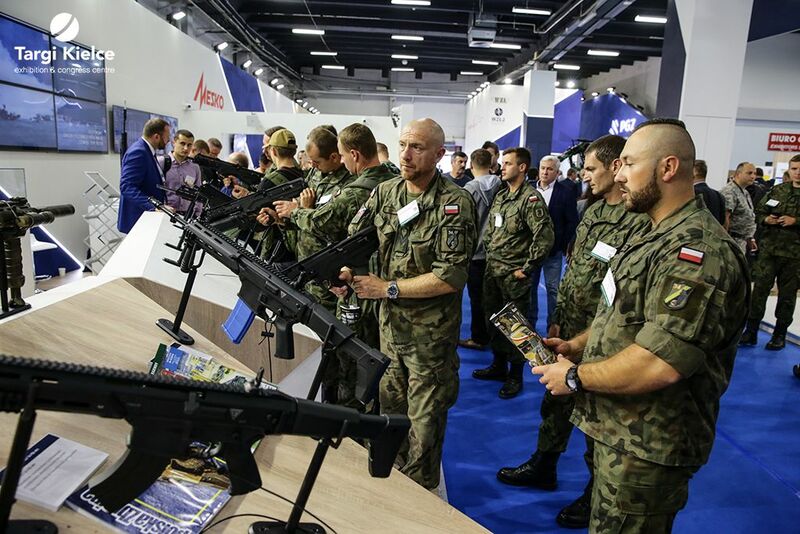 MSPO was the meeting place for 34,106 guests from around the world, including 16,000 people visiting the Polish Armed Forces Exhibition - a part ot the MSPO Open Days. What will be on display at 2019's MSPO? 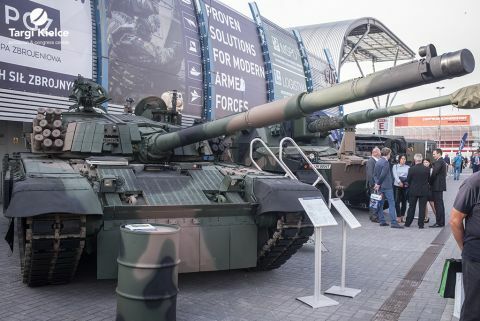 2019’s Defence Industry Expo will also a full house - all 7 expo halls of the Kielce exhibition and congress centre as well as the outdoor exhibition grounds will be packed with the cutting-edge military equipment. Several hundred companies - Polish and internationals industry have already confirmed their MSPO participation. What will be on show at the expo stands of Polish and global defence industry leaders? Of course, helicopters, armoured vehicles, missiles, explosives, equipment and materials used by chemical troops complemented with armaments and aviation equipment, air-defence systems indispensable for air defence forces and the navy. Following the previous years’ example, specialist offer for the Police forces, Border Guards as well as search and rescue units were also on display. 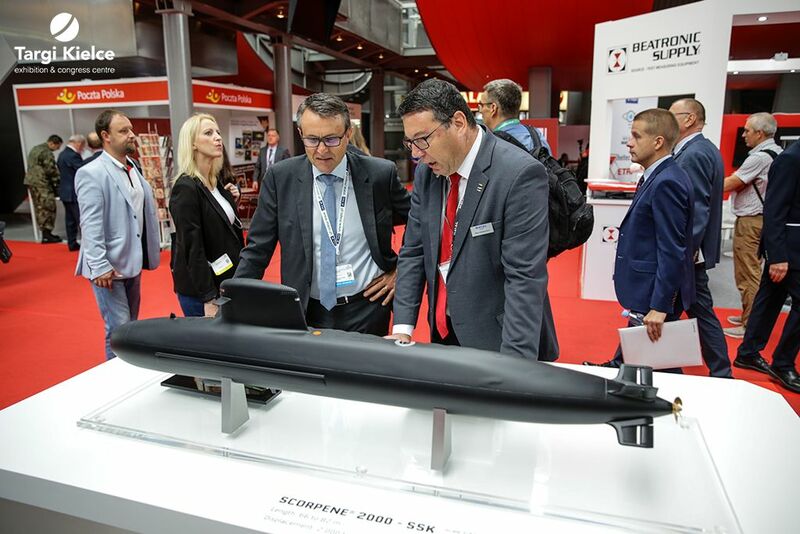 The companies which offer cutting-edge communication technologies, radio-electronic equipment and optoelectronics will also showcase at 2019’s MSPO. The exhibition scope also encompasses food-stuffs and food preparation systems, storage and transport equipment complemented with various uniforms, accessories and medical supplies. 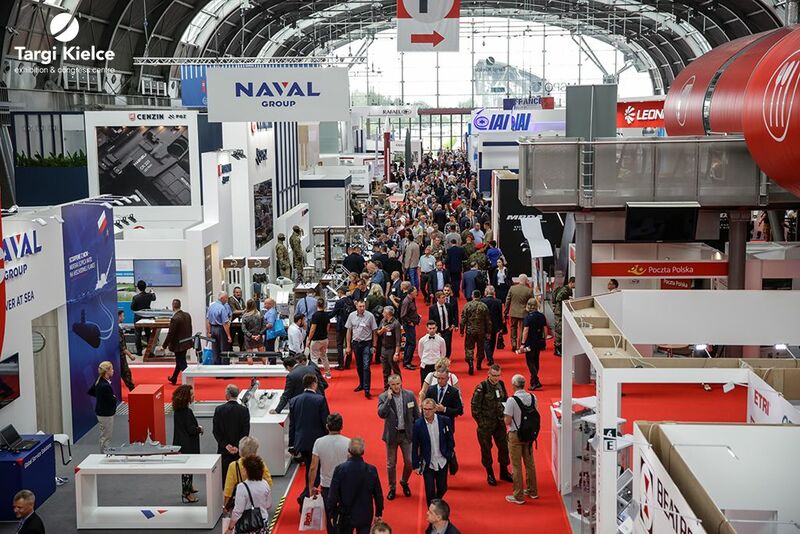 The United States of America is the MSPO lead nation - The US National Exhibition will gather 30 American companies complemented with the US Department of Defense’s presentations. The expo agenda also includes accompanying events such as the very interesting Polish-American seminars and the US Navy Band’s live performance. Every year more than 1,000 soldiers prepare and execute the Armed Forces Exhibition. This year the Polish Army show celebrates its 20th anniversary. This has become a permanent fixture on the Targi Kielce’s MSPO agenda, an inherent part of the expo history. In order to mark the occasion, the Jubilee Armed Forces Exhibition includes the Open Day on September 7th. The MSPO the LOGISTICS trade fairs’ agenda follows the previous years’ tradition - the expos abound with seminars and conferences. A visit of military attachés accredited in Poland is also a part of the event. The continuation of the industry-focused meeting with the Secretaries and Undersecretaries of State at the Defence Ministry, the Ministry of Foreign Affairs, the Ministry of Development, the Ministry of Science and Higher Education and the National Centre for development are an important element of the MSPO. The second day of the trade show is held under the banner of the Lead Nation conference. The International Defence Industry Exhibition follows the many-year tradition to present the most prestigious honours and distinctions, including the most important one - i.e. the President of the Republic of Poland Award for the product best serving the purpose of enhancing Polish Army soldiers’ safety. No less important awards are: the Special Award of the Minister of National Defence; the Awards of Ministers, the Defender Award, the Minister of Entrepreneurship and Technology Award. The Defence Expo gala awarding ceremony is also when accolades of the Polish Police Chief Constable, the State Fire Service’s Chief Commander, the Commander of the Border Guard’s Golden Laurel; the Head of the Inspectorate for Armed Forces Support; Commander General of the Branch of the Armed Forces, the Director of the Territorial Defence Forces are also presented. 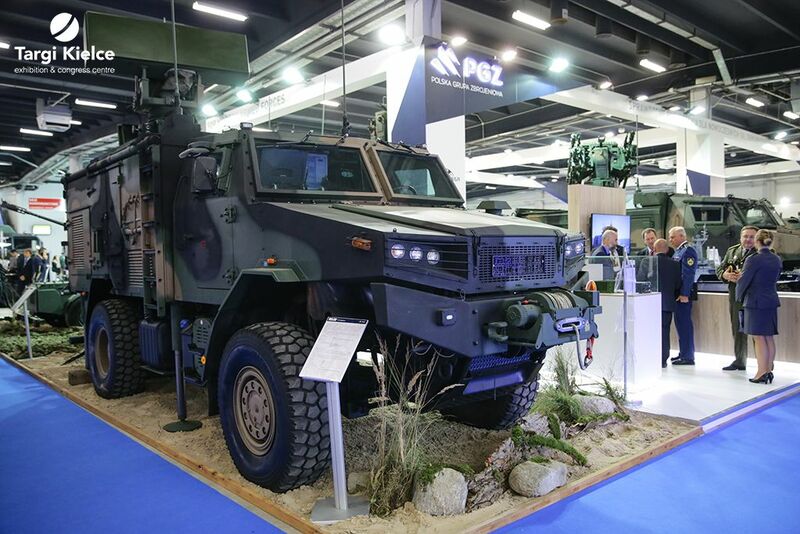 We look forward to seeing you in Targi Kielce for the 27th International Defence Industry Exhibition MSPO - 3-6 September 2019.